On sale now near Astoria at Warrenton Kia, the new Kia Sportage continues to bring comfort, connectivity, and spirited SUV performance to families in Seaside. Explore the Sportage’s comfortable seating for five adults and impressive array of comfort features by contacting us to schedule a test drive in Warrenton today. How Much is a Kia Sportage? If you’re looking for an affordable way to get your family around Longview with confidence, the new Kia Sportage delivers with an accessible MSRP from just $23,570—and that’s before you’ve taken any offers and incentives into consideration! Under the hood, you’ll have access to an available turbocharged 2.0L 4-cylinder engine that makes 240 hp and 260 lb-ft of torque, while optional AWD gives you improved handling in inclement weather. The Kia Uvo infotainment system and touchscreen features Apple CarPlay™ and Android Auto™, while available features like leather upholstery and heated seats further sweeten the deal. The Sportage also beats competitors like the Hyundai Tucson when it comes to fuel economy, towing capacity, and cabin amenities. 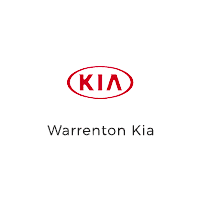 Experience it all for yourself today by scheduling a test drive at Warrenton Kia!